Backyard putting greens from DP Turf have brought the game home, quite literally, for countless golf enthusiasts nationwide. In the process, we’ve managed to enhance both their game and the value of their home. On added benefit however, has to do with the positive effect installing our synthetic turf can have on the environment. Not many people know it, but mowing and maintaining natural grass, whether it is a lawn or some other type of natural green area, can actually be environmentally unsound. And while no doubt it’s not the primary reason you’re considering installing a home putting green, it’s just one more positive element you’ll invoke by installing golf green of synthetic turf in your backyard. So exactly how can your home putting green benefit the environment? It can do so simply by replacing the natural grass that came before it. The yard work we associate with natural grass lawns is, as it turns out, littered with environmental pitfalls you might never imagine. Using a gas lawnmower for merely an hour, for example, is the equivalent of gassing up the car and embarking on a 100 mile trip. And though you may or may not know what hydrocarbons are, you’re releasing them into the atmosphere every time you mow. And when you do, they reappear above you as smog. And we haven’t even mentioned the water – some 25 gallons per square foot of lawn – that most of us squander on our lawns without a second thought. All issues which, if not eliminated entirely depending on the rest of your yard, can certainly be significantly reduced when a backyard putting green is the focal point of your landscape. Let’s not kid ourselves. Nobody installs a DP Turf Southwest Green to save the environment. They do so to experience the convenience of playing the game they love, whenever the please, in the comfort of their own backyard. But as added bonuses go, the fact that our greens are environmentally friendly is a pretty fine one indeed. Discover what so many have discovered before you and what more and more golf fans like yourself are discovering every day. Namely, all the great ways a DP Turf Southwest Green installation can bring a sense of convenience to your golf game and a sense of uniqueness to your backyard. Often times the difference between a well-rounded golfer and a one-dimensional hacker is the ultimate equalizer in golf circles: the short game. DP Turf knows a little about the critical nature of the short game, and even more about how to excel at it. That’s why the savviest golfers are bringing their short game home with them courtesy of one of our backyard putting greens. A home putting green made from the finest synthetic turf… on the market eliminates excuses and promises to shrink your handicap through the force of sheer convenience. Consider your typical routine when it’s time to hit the practice green. Now throw it out the window. With a golf green to call your own you’ll instantly eliminate your routine and begin a new one consisting solely of walking out your back door. No more loading up your gear and navigating through traffic only to pay unneeded fees at the nearest practice facility. Installing outdoor putting greens is quick and easy, but not as easy as it will be to access the game you love at a moment’s notice. Often times the difference between good and great is one’s will to put in the practice time. In terms of your short game, the will to practice will only be surpassed by the ease of which you’ll be able to. Your game can only benefit as a result. The benefits of installing a backyard green go beyond the ones you’ll see in your game. Consider for a moment not only the aesthetic value one will add to your backyard but also the increased market value it’s certain to bring. Share your new toy with those closest you, and make your backyard a desired destination for family and friends. And when it comes time for maintenance you’ll be reminded of the greatest gift of all… the fact that there is none. No mowing no watering, no fertilizing, ever. Just a pristine green 365 days a year on which to practice the game you love. If you’re serious about the game of golf and you don’t mind doing the work to become better, it makes sense to bring the game home with you. Make your backyard the cornerstone of your game while adding value to your home in a unique and exciting way. It’s within your reach, and just out the back door, with a little help from DP Turf. DP Turf are Experienced Professionals who continue to deliver excellent customer service and top of line products to customers in MA, NH, RI, VT, ME CT and cities and towns throughout New England. An indoor putting green at your own residence gives you years of entertainment and the ability to improve your game without leaving your home! An indoor golf putting green appeals to those in colder climates where the weather prohibits playing golf outdoors. A synthetic practice putting green would also be a great addition to your commercial property whether it is a business or residential community. DP Turf is the industry leader in synthetic turf, and we will recommend the best quality indoor putting green that best matches your home. Purchasing an indoor golf putting green is the best way of staying on top of your game year round. Golfers nationwide have discovered that the flexibility and freedom of DP Turf’ indoor putting greens are a blessing. The popularity of a golf putting green, whether indoors or out, is the trend for golfers and non-golfers alike. If you’re a golf player, an indoor putting green is your solution to unpredictable weather conditions. If you’re not a golfer, a synthetic golf green will still look beautiful in your backyard. Our beautiful, low maintenance golf putting greens are the perfect addition to any landscape. The game of golf is a relaxing way to spend time with your friends and family. Though an indoor putting green for residences is useful, the full benefit of a synthetic turf golf green outdoors will provide the true likeness of real bent green grass. Many of our indoor putting green installations are in commercial settings, such as putting courses, office complexes, and tee-lines for driving ranges to name a few. The requests for a synthetic turf practice putting green at golf courses are increasing as the word is known about the benefits of using these products. Contact DP Turf today for more information on our indoor golf putting green systems. DP Turf installs backyard putting greens, outdoor putting greens, commercial greens, and residential golf amenities worldwide. We are the industry leader in artificial putting green construction. Our long bladed artificial golf green is so realistic that people have mistakenly mowed it in the past! We have years of experience installing and designing backyard putting greens. Don’t trust an inexperienced company to install your backyard putting green. Wouldn’t it be nice to have your own outdoor putting green? Let DP Turf, the experts in building putting greens, build a putting green for you. Putting green construction has come a long way in the past decade, and DP Turf has set a precedent for the installation of synthetic turf. DP Turf uses the most up-to-date methods and materials for their installations of a backyard putting green or a commercial outdoor putting green . Artificial turf is fast becoming a popular alternative for golf greens rather than the real thing. You can be more flexible with your golf game when you purchase our artificial greens. Practice your golf game both indoors and outdoors with DP Turf’ putting green design and system. Our synthetic surfaces are mostly used for a backyard putting green or commercial outdoor putting green, as using artificial turf frees up time usually spent on maintaining real grass. Call DP Turf today and get a quote on your putting green construction project. Synthetic turf putting greens and synthetic grass turf for residential and commercial properties are the latest trend in landscaping. Get your backyard synthetic turf through the number one synthetic turf installation team on the market now! If yard work is taking up too much of your time on the weekends and your lawn still needs attention, DP Turf has the solution. We can design and install a premium quality synthetic turf lawn for you that looks, feels, and springs back just like natural grass. We use only the highest grade synthetic grass turf, which is the most realistic and practical alternative to grass on the market today. It never needs to be mowed, watered, or fertilized to look great year round. If you are ready to say goodbye to laborious weekends out in the backyard and hello to joyous ones with friends and family, give us a call. For your synthetic turf putting greens, synthetic grass turf, and all your commercial and residential installation needs, we offer the synthetic turf installation you need. Contact the leader in the synthetic turf industry– contact DP Turf. 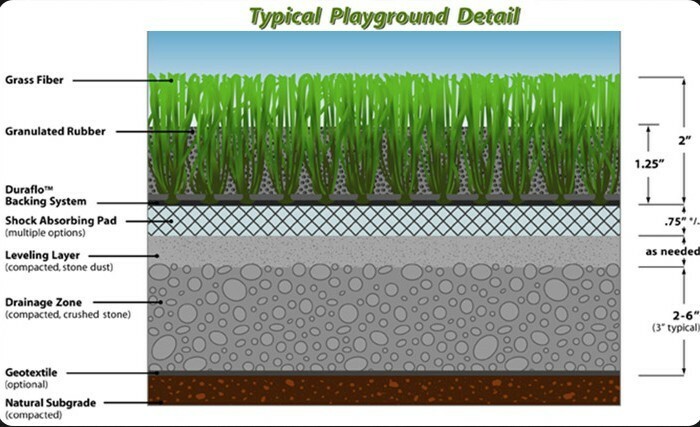 DP Turf’ playground turf products provide for a safe, comfortable and high performance artificial grass surface for a variety of recreational activities for playground areas in day care or common areas and back yard play areas. Our grass and lawn products are an excellent choice for high traffic, heavy usage areas where low maintenance and water conservation is desired. 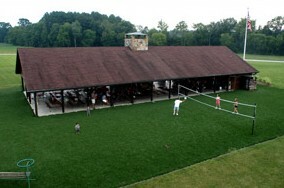 Additionally, because of the consistency and predictability of the surface, our turf products provide a far safer environment than traditional grass installations, helping today’s children play their best, but safeguard against injuries caused by uneven and unexpected interruptions in the playing surface (i.e. weather, etc.). Rubberized underlayments can also be used to lessen the impact of an unexpected fall, providing even more safety in those areas where children are more likely to be tumbling on the ground which meet ASTM Fall Height Standards. When it comes to our playground lawn products in recreational installations, we can’t be beat. We use only the highest grade synthetic turf, for the most realistic and practical alternative to grass on the market today. Our advanced backing system allows the playground turf to conform to any desired slopes and contours, and ensures maximum drainage with little to no moisture build-up, minimizing down time of play and sporting activities. And the best part about DP Turf turf installations is that they never need mowing, watering or fertilizing to look great and play great year-round. Whether your installation includes a commercial playground or day care facility or a backyard play area DP Turf has a grass product that will fit your needs perfectly. Few areas require the intense durability and drainability than those that house pets, and our Golden Bear Grass Pet Turf provides just that. Ours is a turf backing system based on Duraflo technology, which allows for superior flow through rates on drainage. Best of all, Golden Bear Grass is 100 percent recyclable and is a GREEN product, making it the perfect surface for your pets to run and play on. Our Pet Turf is perfect for kennels, backyards or commercial pet resorts to ensure playability 365 days a year for your pet. DP Turf has perfected the art of designing and installing premium synthetic lawns and landscaping. Using the finest synthetic product on the market, Golden Bear Grass(TM), we can simulate the look, feel and performance of natural grass in virtually any home or business environment and under the most extreme soil and weather conditions. What’s more, Golden Bear Grass never needs to be mowed, watered or fertilized to look great 24/7. It’s the perfect solution for homeowners and businesses located in areas that experience extreme weather conditions. Golden Bear Grass withstands not only extreme temperatures but is designed and installed to perform in hot, cold, wet and dry climates. It’s also the ideal alternative for grassy areas that take a beating from heavy use or places that are particularly difficult to maintain under normal conditions. It’s engineered for durability, performance and appearance. DP Turf has extensive experience in the synthetic turf industry as the leader in designing and installing thousands of professional-caliber golf greens worldwide. We are pleased to bring our extensive product knowledge, design skills and installation expertise to your lawn and landscaping needs. We have the “know how” to handle even the most demanding terrain, slopes and contours. Perhaps you live in an area with extreme weather conditions or where access to water is difficult. Or maybe you’ve got grasses areas that experience heavy foot traffic. Whatever your reason, DP Turf offers a solution with our synthetic lawn product. Enjoy the high performance and low maintenance of a turf that will have your lawn or grass area looking perfect year-round. Our Golden Bear Grass is based on the same technology as our industry-leading putting greens, and is made of longer-bladed polyethylene designed to simulate natural grass. Play areas and lawns join chipping areas and fringe and tee boxes are perfect candidates for the natural look and feel of our synthetic grass. Enjoy the softer feel, superior “spring-back, and low maintenance of our amazing synthetic products. Our synthetic turf is so versatile that is can also be installed in roadway medians, outdoor areas in restaurants, horse shoe pits, backyard and school recreation areas, bocce ball courts, athletic facilities, and commercial and municipal green areas. Golden Bear Grass is available in 18 different styles with multiple infill options. You have your choice of traditional bluegrass, long blade fescue, winter rye, zoysia, short bermuda or dense centipede plus many more. DP Turf will work with you to select the right option for your home or office. Contact DP Turf if you are thinking about how nice it would be to have the perfect lawn.